Zen philosophy has an enormous influence on modern interiors. This is truer than ever when it comes to bathroom design. After all, it's almost impossible to find a modern spa or high-end health retreat that doesn't show some Zen-inspired touch. This is because the concept of Zen is not really like any other style trend. 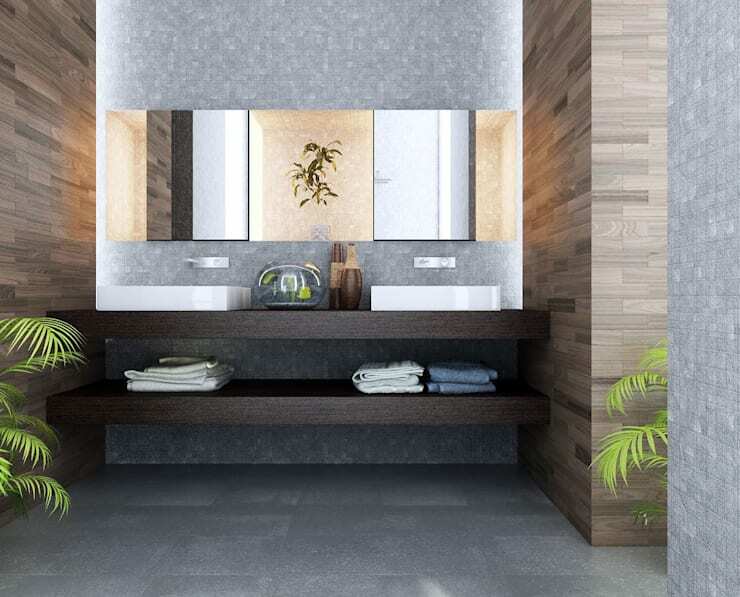 This kind of bathroom is more than just a superficial collection of attractive lines, colours and shapes. Instead, each aesthetic choice is the result of an ancient wisdom that taps into our eternal need for a retreat from the stresses and demands of the life. 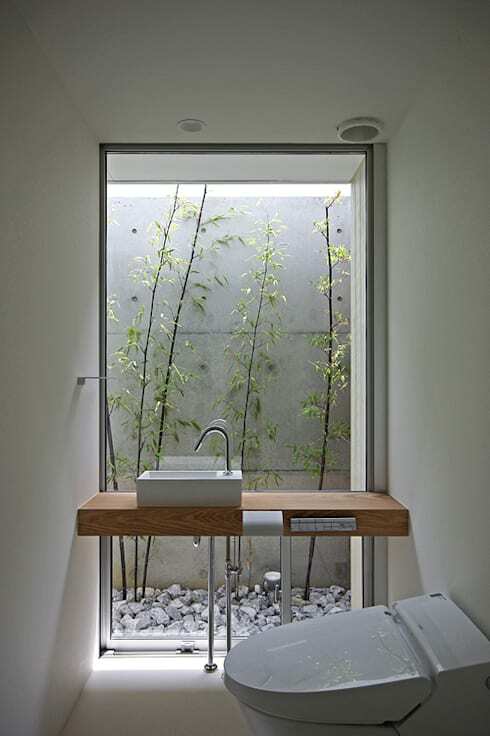 So how can you create a Zen bathroom? Well, we've got 10 tips to get you started. Enjoy! 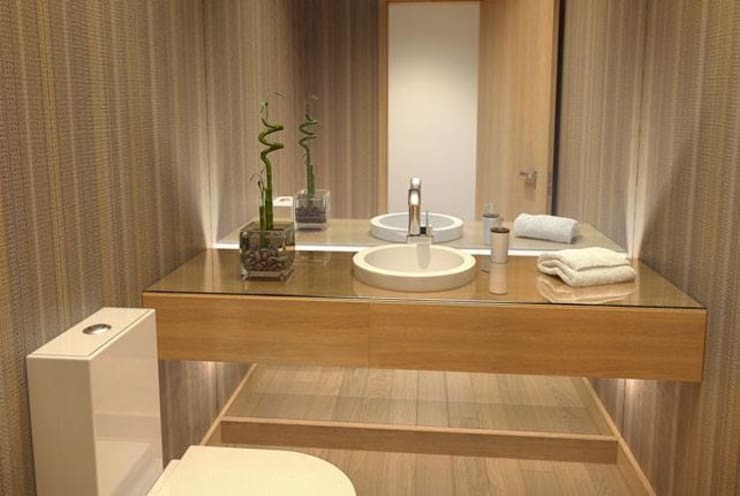 Minimalism is the essential foundation of any Zen bathroom. Every element should be whittled down to its simplest form so the pure beauty of the space is allowed to shine. 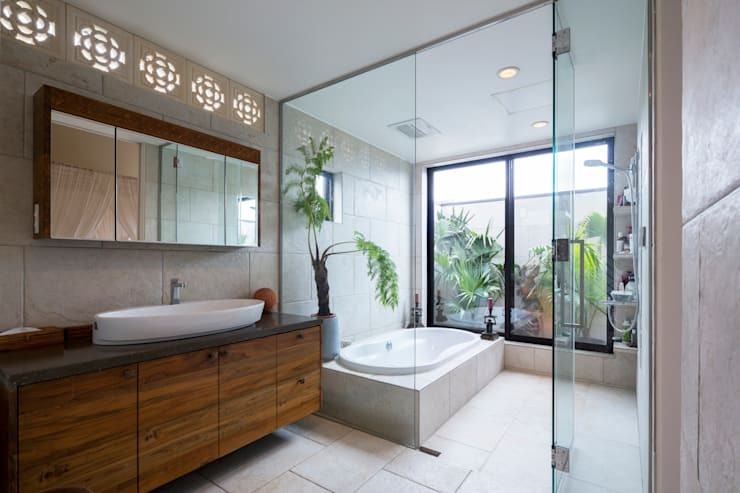 Stone pebbles are perhaps one of the easiest and cheapest ways to make your bathroom feel Zen. The smooth shape and gentle shadows reflect the curves of nature. These could be scattered around the perimeter of the room or even placed under a wall-mounted wash-basin for effect. 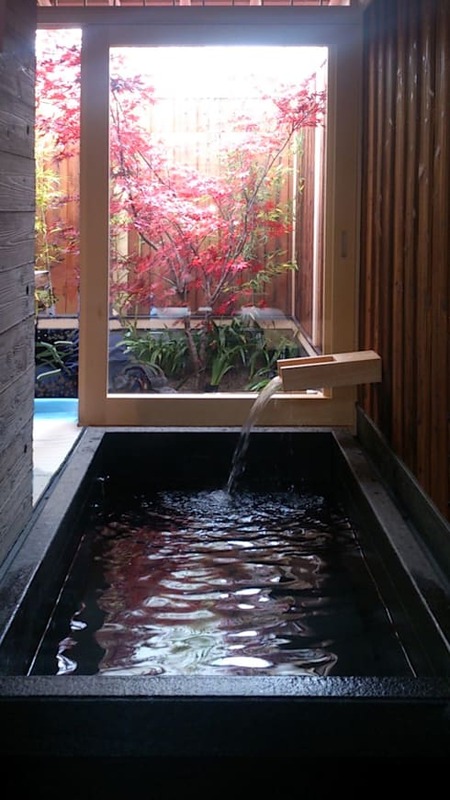 The sounds of nature should also be present in a Zen bathroom. A waterfall faucet will create a lovely effect. Of course, it adds a decadent feel to the bathroom as well! Introduce some reminder of the cycles of nature into the bathroom. 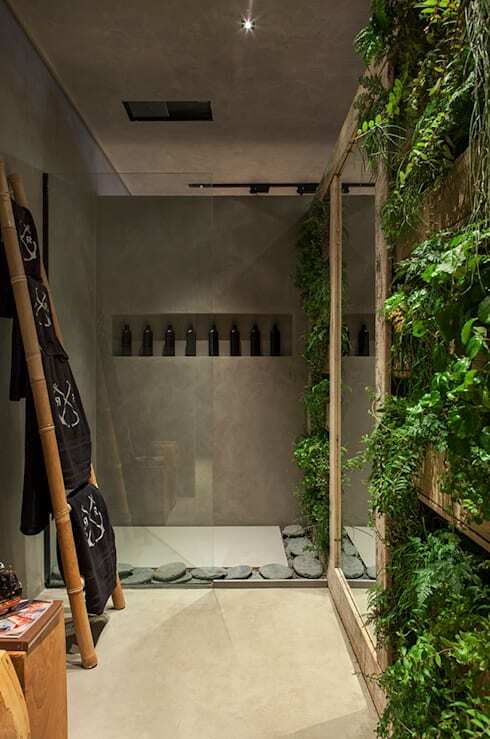 In this bathroom, that has been done with a mini garden design that also creates a clean, uncluttered and minimalist look. Note how the simple plants are enclosed within a glass like structure. The walls, floors and furniture can also be used to introduce a touch of nature. Natural materials such as stone are perfect for the look. The soft variations in the texture add a rich warm feel to this bathroom too. Japanese architects often install windows or shutters with decorative shapes that create ethereal patterns of sunlight on the walls of the home. These shadow patterns are said to remind one of the transient nature of life. Whatever your design, think about how you might use light to lift your design to the next level. Subdued and recessed lighting is a very good start. This kind of approach to decorating can feel a little too serious at times. But the whole point of reducing everything to a minimum is to allow a lighting vision of life. Keep things simple, casual and even playful. This is not the time to get formal! The single most calming element in this kind of bathroom is the colour scheme. Keep it neutral and explore the soft and varying colours of nature. Soft russet gold, brown and cream hues are best. Minimalist bathrooms (and interiors) always have lots of unbroken lights of sight. So you will see lots of long lines with minimal interruptions or decorative details. 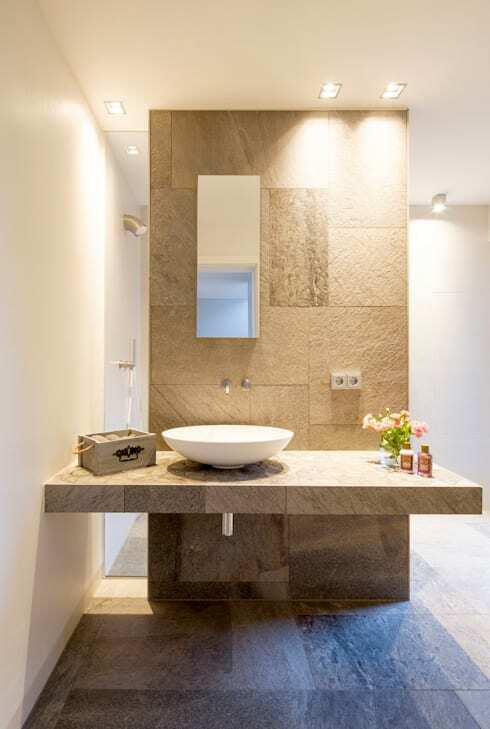 A good way to create this look is by pairing a top mounted basin with a wall-to-wall countertop. 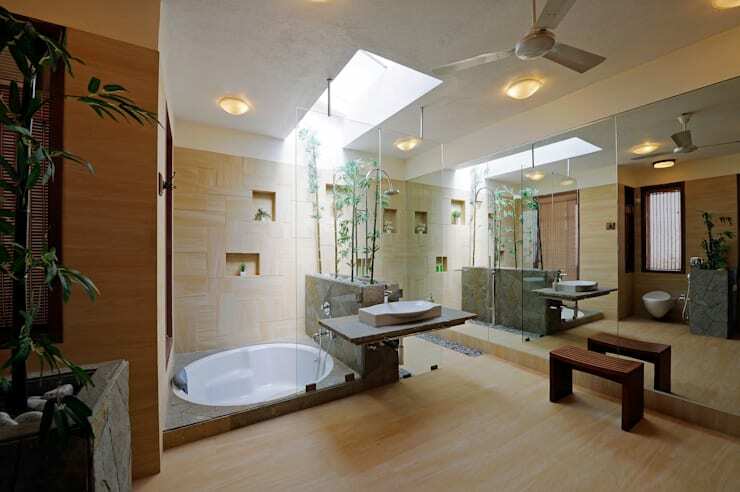 No matter how constrained or generous your budget, the most luxurious element is any Zen bathroom is natural. Avoid covering any large areas in any material that isn't nature. Instead, explore the decadence of nature in all its beauty. For more earthy inspiration, have a look at 10 simple and stylish ways to use wood in your home.